As of July 25, MDARD has had 18 confirmed cases of canine influenza reported for 2018. These cases were in four counties: Huron (one), Macomb (six), Oakland (eight), and Wayne (three). Please call our office to schedule the preventative vaccines we have available! As of July 20, 2018 there have been 4 confirmed cases of H3N2 canine influenza in Michigan: 2 cases in Macomb County, 1 case in Wayne County and 1 case in Oakland County. There has also been an increase in Canine Upper Respiratory Complex which includes diseases like Kennel Cough and the Canine Flu. These diseases are extremely contagious and we are doing everything possible to insure the care and safety of our patients. In order to maintain a clean and healthy environment for all of our patients, including our boarding guests, we are updating our boarding policies to include requiring vaccinations against the H3N2 canine influenza virus. We will soon be offering the combination vaccine which includes the H3N2 and H3N8 viruses, but will accept boarders who only have vaccinations against H3N2. This policy may change if there are future updates showing confirmed cases of the H3N8. Please contact our office to make arrangements to have your canine pet vaccinated for the flu virus if you plan to board, attend day care, dog parks, or grooming salons. Thank you so much and we look forward to seeing you soon. For many owners, the experience of losing a pet is heart-breaking and, for some, overwhelming. Losing a pet is losing a friend and, in many cases, a ‘family member’ too. Emotions run high and owners need to have support at this crucial time, which may include making the hard decision to bring a pet’s life to an end. At this time, owners need to know that their veterinary practice will look after their beloved pet in the kindest way possible, as well be sensitive to their needs, as the pets’ carers. They need to know they will be supported with compassion and professionalism.  Dearborn Family Pet Care has gone the extra mile when it comes to caring for pets at the end of their life and put their team through specialist training, so clients get the best experience possible. The practice has gained platinum accreditation. The training, run by pet loss specialists Compassion Understood, (www.compassionunderstood.us.com), helped the team get to grips with a highly emotional topic, by offering practical advice on protocols and veterinary procedures to make a pet’s end of life as smooth and trouble-free as possible, as well as learning more about the different stages of grief, and understanding how owners feel at the time – including guilt, shock and despair. The team at Dearborn Family Pet Care also directs clients to the Compassion Understood website, which provides clear and reliable information about a pet’s end of life and helps owners with the decision-making process, as well as offering advice on the grieving process and coping afterwards. Owners wishing to discuss a pet’s end-of-life care can phone the experienced reception team at the practice and they will offer support and advice, no matter the age or species of the pet. Dearborn, MI—Dearborn Family Pet Care has achieved the highest level of veterinary excellence following a thorough evaluation by the American Animal Hospital Association (AAHA). Dearborn Family Pet Care earned AAHA accreditation after a rigorous review of the hospital’s practice protocols, medical equipment, facility and client service. Only the top small animal hospitals in the United States and Canada have achieved accreditation by the Association. To maintain accredited status, [Hospital Name] must continue to be evaluated regularly by AAHA. Meet one of the newest Directors on the North American Veterinary Community's Board of Directors!! Cheryl Good, DVM, has been the owner and veterinarian at Dearborn Family Pet Care, Dearborn, Michigan, from May 1995 to present, and was previously an associate veterinarian at Westborn Animal Hospital, also in Dearborn, Michigan, from June 1988-April 1995. She earned a Bachelor of Science Degree in Biology, Michigan State University in 1983, and her DVM at Michigan State University in 1988. Michigan State University, College of Veterinary Medicine Alumni Group, Dearborn Area Chamber of Commerce, U.S. Chamber of Commerce, Better Business Bureau; and a certified member of the Cornell Feline Health Center and American Heartworm Society. She has earned a number of certificates and awards during her career, including Fort Dodge Pain Management Certification; Certificate of Appreciation for being the Top Donation Getter for the Santa Paws Drive for FFDAS; Certificate of Appreciation for Sponsoring the Lions Calendar for FFDAS; Certificate of Appreciation for supporting the Canister Program and collecting donations for FFDAS; Certificate of Appreciation for being part of the Spay Day Program annually; Certificate of Appreciation for being the top sponsor for the FFDAS Mutt Strut and Pet Expo annually since 2006; Certificate of Appreciation for being one of the top sponsors for the Bowl 4 Animal Rescue event annually since 2006, which raises money for FFDAS and for Michigan Animal Adoption Network; and a Standard of Excellence Award from the Dearborn City Beautiful Commission, given to our practice annually from 1995-present. Dr. Good lives in Saline, Michigan with her husband Mark. They have three children: Miranda, Ian and Alan, and their family includes several pets including K-doo, a DLH orange tabby; Sweeney, a DSH brown tabby; Jelly Bean, a DSH calico and Roscoe, a large mixed breed dog. She said, “My greatest pleasure is spending time with my family, whether we are traveling together or just having a meal together! My husband, children, parents, sister and brother and all of my extended family have always been so very supportive of me and that is a blessing that I am forever grateful for!” Her interests include most movies, but her favorites are science fiction, comedies and historical fiction dramas. She noted, “Growing up, my favorite actor was John Wayne and I could watch his movie The Cowboys over and over!” She also enjoys the Game of Thrones Series, Outlander Series and anything by Dean Koontz, Stephen King or Nicholas Sparks. She has traveled extensively all over the U.S. and internationally. She also enjoys going to sporting events — specifically Detroit Tiger baseball, Kalamazoo College Football and anything to do with Michigan State Spartans. Musical interests include going to concerts, especially country music concerts or any concert that her son Alan is performing in. When did Cheryl first know you wanted to be a veterinary professional? Happy “Love Your Pet Day”! What better day to officially announce that registration is now open for the 2015 Mutt Strut & Pet Expo? Last year YOU raised over $70K in pledges, which made a life-saving difference for more than 2,800 homeless animals. This year we know these animals can depend on you to make an even bigger difference! We strut for rescues like Lucky Lucy Valentine, our Mutt Strut spokes-pup. Lucy was the leader and protector of a group of dogs wandering homeless in our community during the winter polar vortex. This heroic pup took great care of her friends. Lucy is lucky to have friends like YOU! Every pledge you make or raise ensures that every "Lucy" is given a second chance. Can you help reach our goal of $75,000? It's so simple and so much fun. By registering for Mutt Strut, you'll get access to easy web-based tools to help you reach your fundraising goals and inspire your friends and family to get involved. Register today at our Mutt Strut website. In 2015, we promise even more cool activities, games, and entertainment for you and your favorite canine companion. It's sure to be the most marvelous Strut yet! We can't wait to see you on May 9! We congratulate DFPC's Cindy Sorrell to her new title!!!! We are so proud of her accomplishment!! ALACHUA, FL -- Cindy Sorrell recently earned the distinction of Certified Veterinary Practice Manager (CVPM) by successfully passing the certification exam offered by the Veterinary Hospital Managers Association (VHMA) onOctober 27, 2012 in Dearborn, Michigan. VHMA's certification program measures the knowledge and experience necessary to successfully manage the ever-changing business environment of today's veterinary practices and requires a continued commitment to further improvement through continuing education. This designation is VHMA's highest professional distinction. The Veterinary Hospital Managers Association, Inc. (VHMA), is an international professional association, created in 1981, to support individuals in veterinary practice management. Our guiding principles include the pursuit of excellence in practice management, opening channels of communication and networking among practices. Over 1,600 hospital managers, veterinarians, technicians and consultants belong to the VHMA. Our membership is international consisting of 10% Canadian citizens and 90% US citizens. Members of the VHMA benefit from conferences and meetings exclusively devoted to management; newsletters on current management topics, written by managers for managers; benchmark surveys; an online Career Center; a Mentor Program; a complimentary subscription to Veterinary Economics magazine, and most importantly, networking opportunities at meetings and through our List Servs and Practice Issues Forum. For more information about the CVPM program, contact VHMA Executive Director Christine Shupe, CAE, (877) 599-2707/(518) 433-8911 or visit the VHMA Web site at www.vhma.org." Check your pet's health records from home! E-pet Health will show you your pet's medical records, request an appointment and more! and Tour the Clinic page! We post a lot of important and up to date information about local news that we want to share with you or just something cute or funny to make you smile!